It’s finally here, y’all—Friday is back to grace us with its beautiful presence! Holla! And to commemorate this blessed occasion, I’ve collected all kinds of geeky goodies for your pleasure! Need to protect your belongings? Look no further than this exclusive from Think Geek! 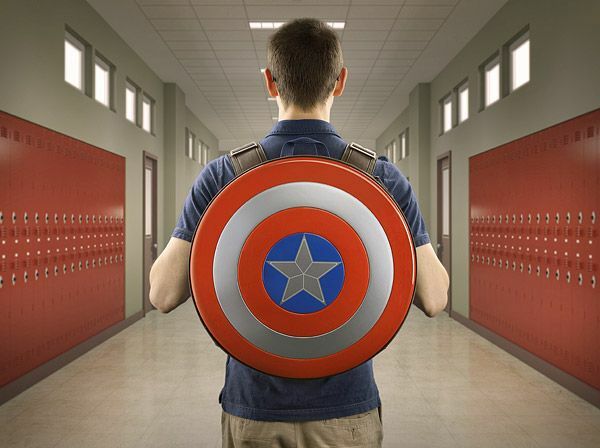 This Captain America-inspire backpack is great for holding all of your stuff that you don’t want falling into Hydra’s hands! If you’re like Huff the Hubs, you enjoy birthday cards…for about ten seconds. He finds them kind of pointless because they “don’t serve a purpose”. But I think if he received one of these he’d LOVE cards! Each wooden card comes with pieces to pop out and construct! 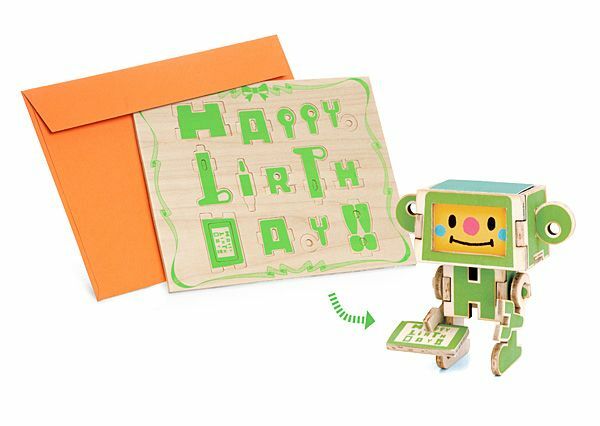 The cards come in three different robot shapes! 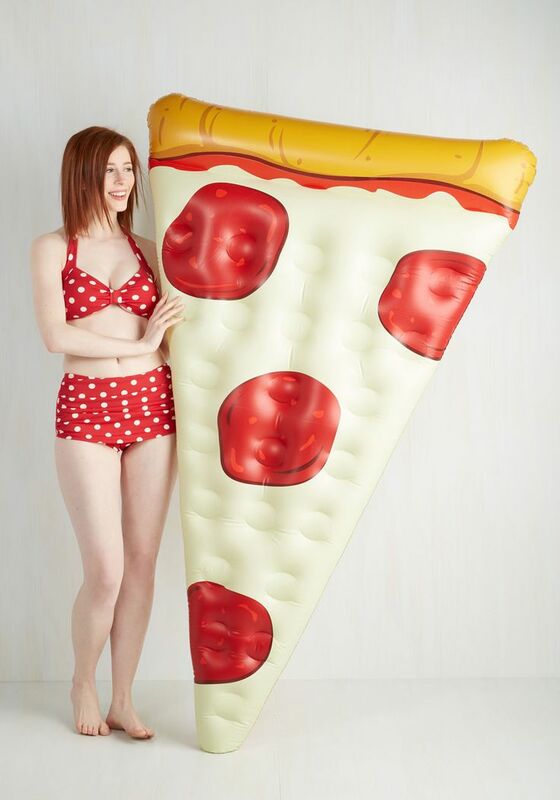 Lounge whilst dreaming of tasty pizza! Best of both worlds, baby! Trollies may come from acorns, but these shoes are from the nerdy heavens! Get ready, people, because I’m about to drop some nerd news that’s going to make you flip! 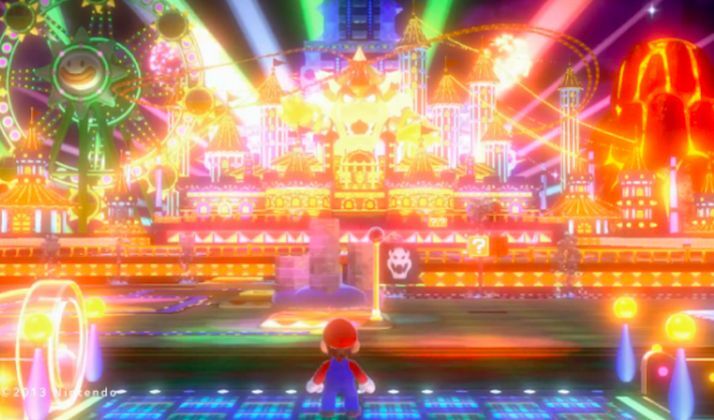 Nintendo announced this week that it will be working with Universal Studios to bring the world of Mario to its theme parks! First, preheat your oven to 500* (be prepared for it to heat your ENTIRE house). 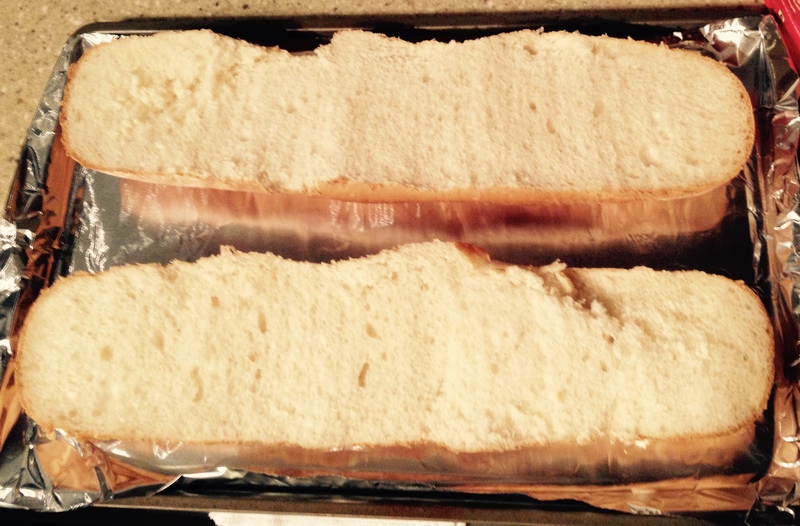 Cut the loaf of bread in half, length-wise and place onto a cookie sheet. 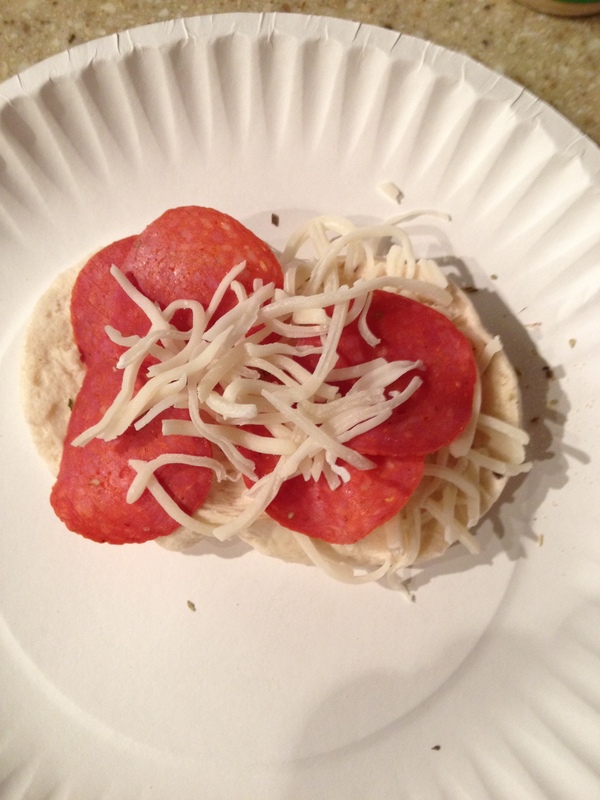 Then, spread the desired amount of sauce on the bread and sprinkle your toppings on top. 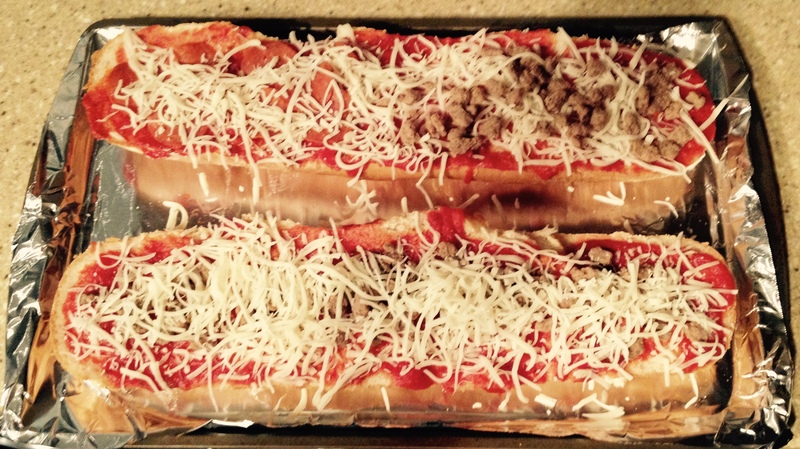 Pop in the oven for about 5-7 minutes, or until the cheese is melted. Then, let it cool, slice, and eat! This would a GREAT lunch on the weekend! Its fast and you can make it somewhat healthy! Another end to another week and MAN it feels good! I’ve searched high and low, near and far to find you the ultimate list of fandom finds! How awesome is that?! The cake is able to project wrapped pictures on the cake and can even change to show where cake slices have been cut! Check out the Disney Wedding blog for more! A few years ago, I was NOT at all into Zombies. That is, until I saw Zombieland. That was basically the genesis of my fascination with zombies. And, thankfully, there’s a sequel in the works! According to Cinema Blend, Ruben Fleischer (ZL’s director) is working with other execs and screenwriters to get a script going! Unfortunately, its unlikely that the original ensemble with make a reappearance. Sad panda. 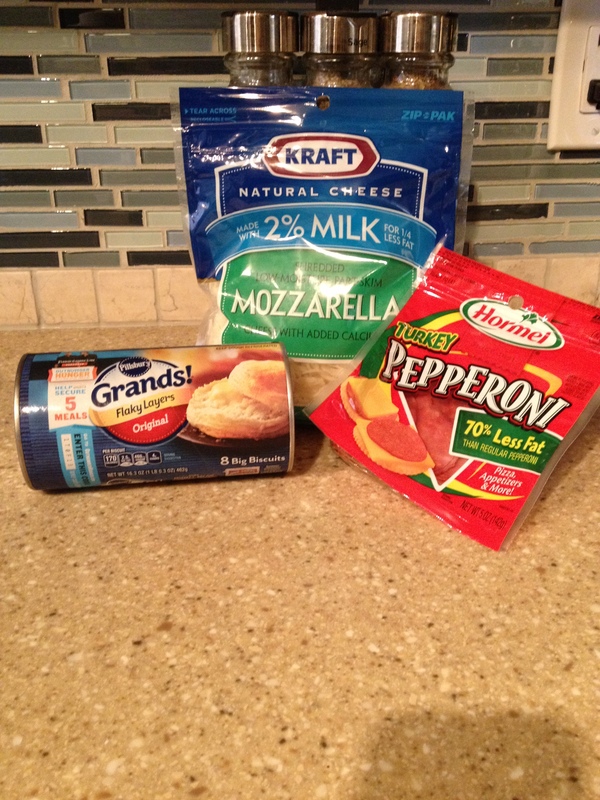 Looking for a way to make pizza night just a little more fancy? Pillsbury.com has you covered! 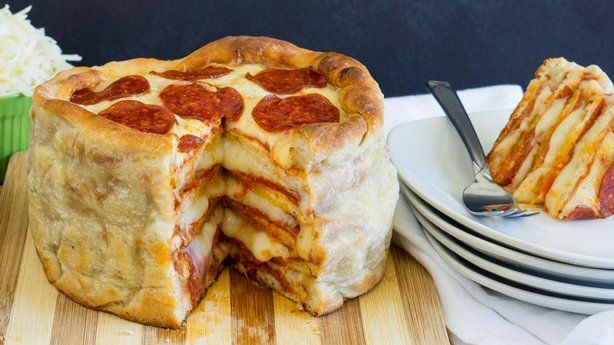 They recently perfected the art of pizza cakes. 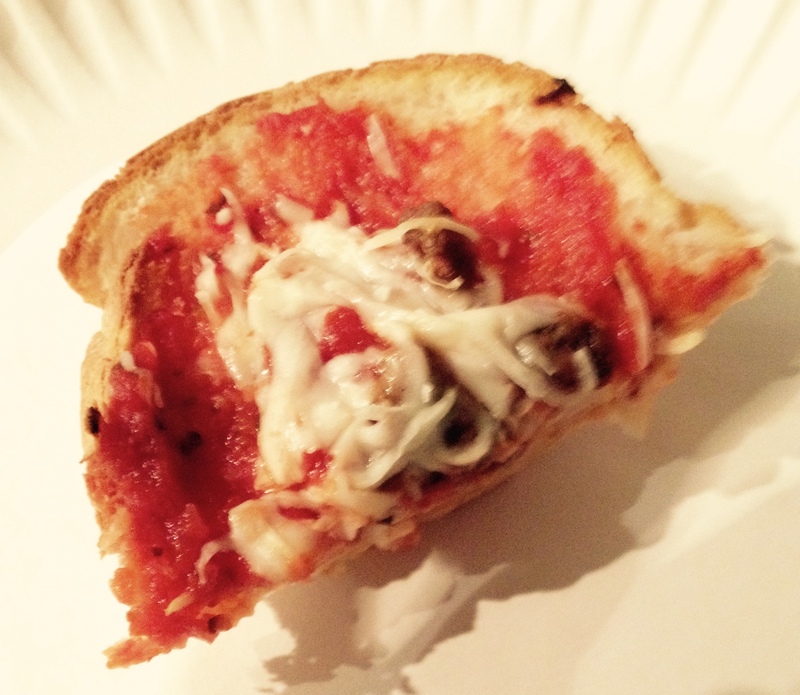 Yes, you read that right: pizza cakes. I’m thinking this is the just the thing to bake for mine and Huff the hubs’ date night! You guys know I have mad love for all things Harry Potter. I’ve read the books tons of times, I’ve been to midnight showings/releases, and I even named my daughter Hermione for goodness sakes! If ever there was an ultimate HP fan, its me. However, I think Menahem Asher Silva Vargas from Mexico City, Mexico has me beat. Homeboy has 3,097 pieces of Potter memorabilia! Yes, over 3K HP-themed figurines, stuffed animals, sweaters, flags, and so much more! 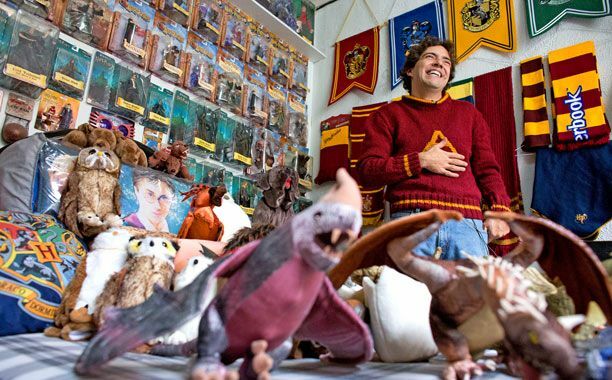 His collection caught the attention of the folks at Guinness and is now on the books as the holder of the world’s largest Harry Potter collection! Merlin’s pants! Speaking of fandoms, please don’t hurt yourself by rolling your eyes too hard at this next story. I’m not ashamed to say that I have read all of the books in the Twilight series (multiple times) and went to all the midnight showings of the movies. Annnddd…. I threw a Breaking Dawn release party, complete with costumes. Having said that, I’m not as into the fangs from Forks as I used to be. I prefer my vamps from the East Coast (think: Mystic Falls, VA). But, for those of you who can’t get enough of Team Edward/Team Jacob, good news! They’re coming back! Well, sort of. Lions Gate is partnering up with Twilight creator, Stephanie Meyer and will select five aspiring female directors to create short films in the Twilight universe! Whilst I could do without another screening of Bella, I think its awesome that LG and SM are trying to get young girls excited about film making. We need more female directors and storytellers…even if they make movies about an angsty teen whose in love with a centuries old vampire. I’m always looking for easy and fun recipes on Pinterest (keyword: easy). Basically if a recipe has less than 5 ingredients and 5 steps, I’m totally on board. And, thankfully, Pinterest delivered! Sprinkle your cheese and pepperoni (I also put a dash of oregano and garlic powder in there, just so it wouldn’t be so bland). 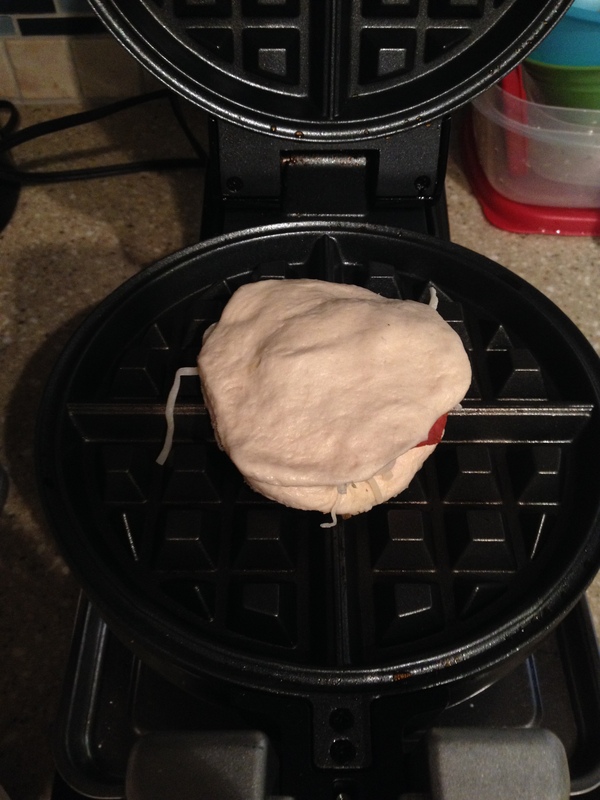 After you’ve place your fixin’s, close up the biscuit and place in your pre-heated waffle iron. 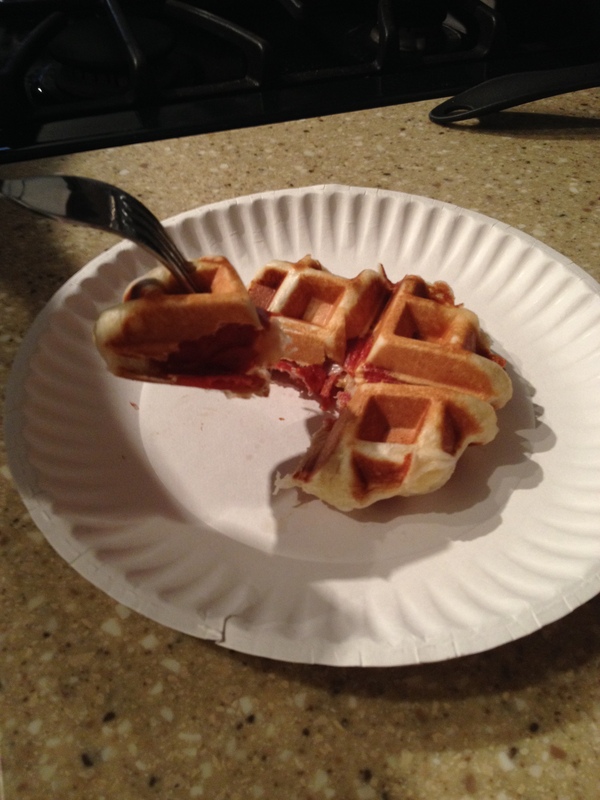 A minute (or so) later, your waffle pizza will be ready to eat! These things were SOOO tasty! Huff the Hubs said, “Uh, these need to be in the permanent dinner rotation!” Homeboy ate FOUR (and a half)! These would be great for a kid’s sleepover or movie night with the family! Hello all! Its been a while since I’ve done a Try It. And today’s isn’t even from me! Its from my sister, Bridget. But I’ll tell ya; it looks DELICIOUS! Bridget and I love Hungry Girl. She has a few of her books and we both get daily emails from HG. Hungry Girl’s recipes, for the most part, are pretty good. There are a few that are gag-worthy, but sometimes, HG hits healthy-eats gold! 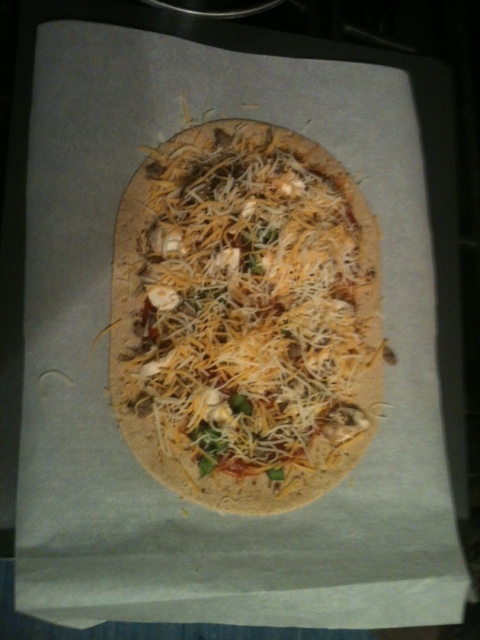 Enter, the Flat Out Wrap pizza. 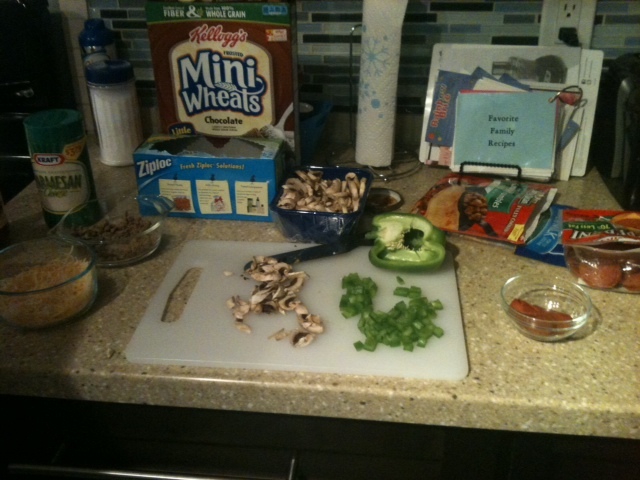 The wraps are high in fiber and low in calories and taste so yummy! 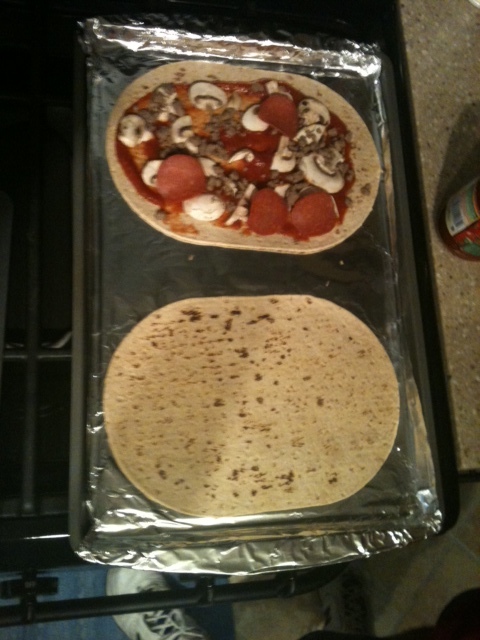 One of HG’s favorite things to do is make pizzas out of these bad boys. So that’s exactly what Bridget did. Then she baked them at 350* for about 10 minutes. 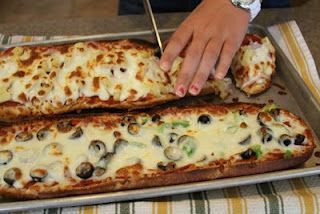 Then, she took out the wraps, sprinkled some cheese on them and baked them for another 5 minutes or so, until the cheese melted. Hot n’ Ready, without the annoying Roman guy. Then, she ate! She said it was “so yummy” and that she’ll definitely be eating it again. It was healthy and tasty!